Burlington’s mayor and 12 city councilors officially took their seats Monday evening. Called “organization day,” it’s generally the shortest and most diplomatic meeting of the year. The "new" council features 10 returning members, plus independent Adam Roof and Progressive Sarah Giannoni. As expected, Progressive Councilor Jane Knodell was elected president of the council. After the March 3 election, she quickly secured seven votes, and Democrats decided it didn't make sense to challenge her. In the end, every councilor voted for Knodell, who replaces Democrat Joan Shannon in that seat. 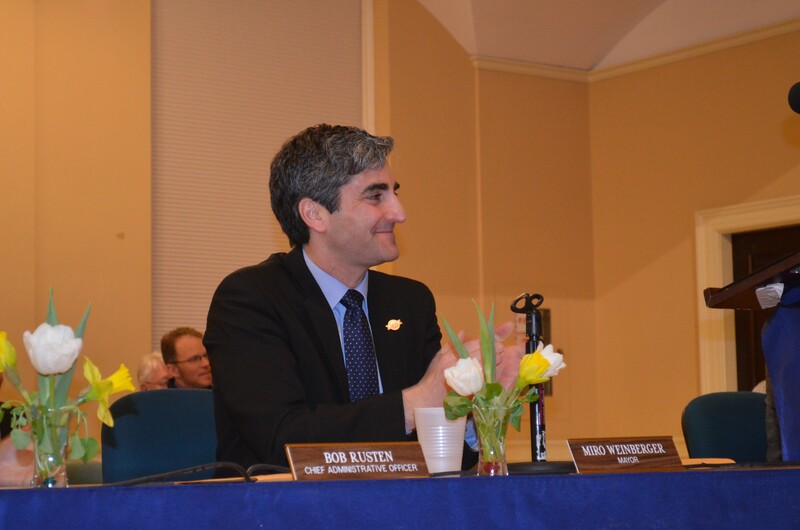 Elected to a second term in March, Mayor Miro Weinberger began his State of the City address on a familiar theme by recapping the “dramatic financial improvements” he oversaw during his first term. Among other signs of “progress and momentum,” he pointed to bike path upgrades, the opening of Burlington’s fourth hotel (the Hilton Garden), and the success of tech companies like Ello and Dealer.com. Unlike Gov. Peter Shumlin, who's taken to single-theme inaugural speeches, the Democratic mayor touched on a myriad of topics. He identified three broad goals: addressing longer-term financial issues, modernizing city government and expanding opportunity for all residents. High on Weinberger's priority list, he said, is tackling Burlington's underfunded pension fund, collecting and analyzing more city data, and building more housing. Much of Weinberger's speech focused on plans already in the works, which were also discussed in detail during the months leading up to his reelection. For instance, he mentioned his early learning initiative, housing plan, diversity and equity plan, and his soon-to-be-unveiled 10-year capital plan. 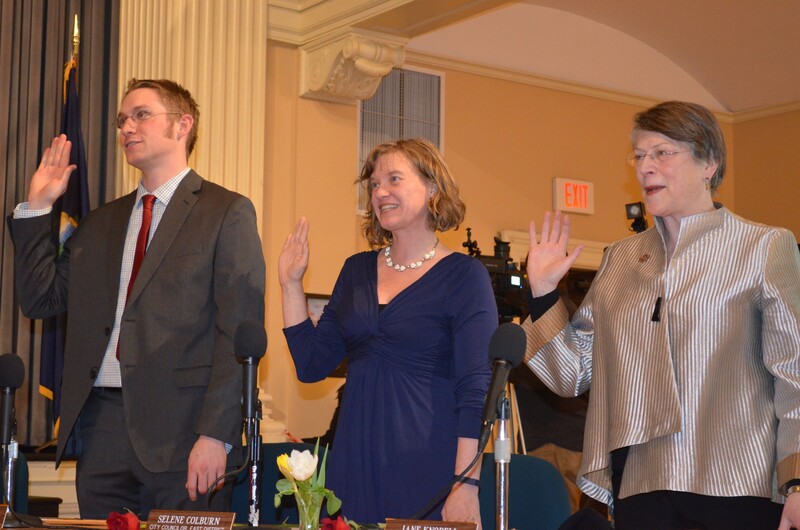 From left, Progressive councilors Max Tracy, Selene Colburn and Jane Knodell are sworn into office. The mayor also announced unequivocal support for a creating a permanent "low-barrier warming shelter" in Burlington. In less euphemistic terminology, that's a place where people who've been drinking or using drugs can sleep. Such shelters can be controversial, but the Champlain Valley Office for Economic Opportunity successfully piloted a temporary one over the winter. Weinberger made a point of mentioning a pair of highly popular but also controversial services that are part of the so-called sharing economy. "There is a place in Burlington for innovations like Uber and Airbnb," he declared, before pledging to address the "new issues and disparities" that they raise. Councilors on the other side of the aisle, including Republican Kurt Wright and Progressives Max Tracy and Knodell, deemed it a decent speech. Did he skip over anything important? "I'm not going to nitpick," Wright said.